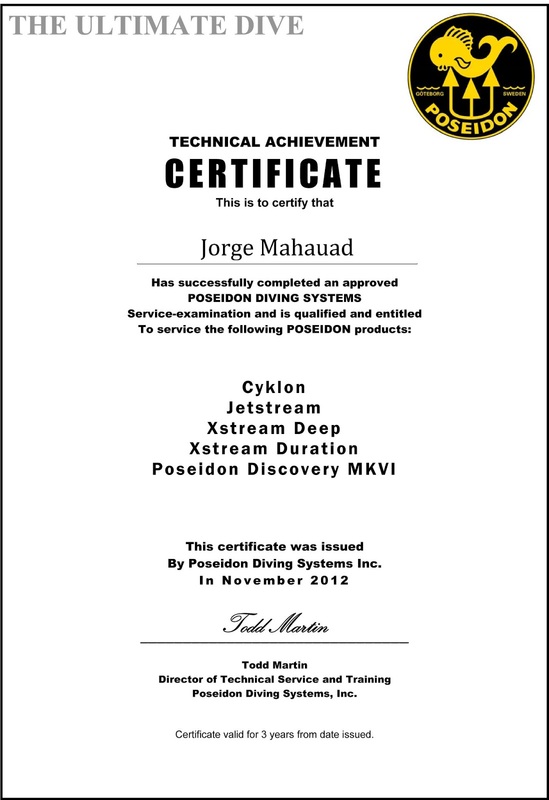 Galapagos Rebreathers is glad to announce that we are now a Poseidon Authorized Dealer Service Center. We can provide all consumables and service for the Discovery MKVI Rebreather. Accessories, parts and kits are subject to pre-order. Please contact Jorge A. Mahauad at Galapagos Rebreathers for more details.